She ultimately decided that she didn't like it. After one whiff of the bottle, she ran away from it as hard as she could! Wish I could have gotten that on camera. 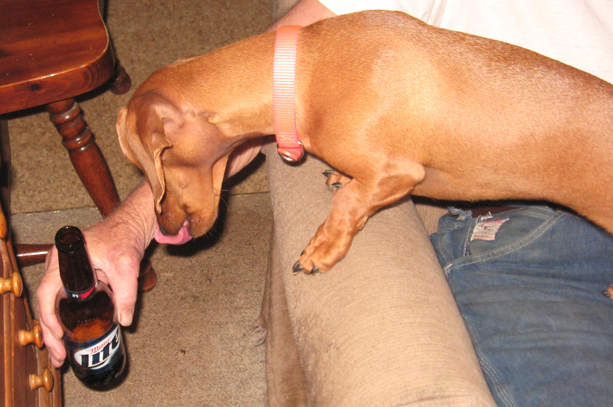 A friend made an observation: what kind of a German dog wouldn't enjoy beer? I think the photo speaks for itself: it's light beer that Tammy recoiled from, not a dark hearty pint of true ale.